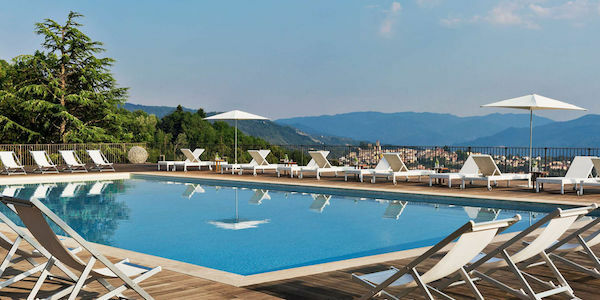 Nestled on the hill of an expansive two-mile estate in the heart of Italy’s most beloved region, Tuscany, the Renaissance Tuscany Il Ciocco Resort & Spa overlooks the mountainous Serchio Valley, one of the most unexplored areas of Italy. Here guests can discover nearby unexplored medieval villages, Barga and Lucca, or travel within one or two hours to well-known city favorites, like Florence, Pisa, and Cinque Terre. Featuring 180 luxurious rooms and suites, the property also offers a full-service spa, two restaurants serving local cuisine, two swimming pools, a health club, on-site cooking lessons, and varied excursions within the surrounding area. Book your escape now using promo code SPA.